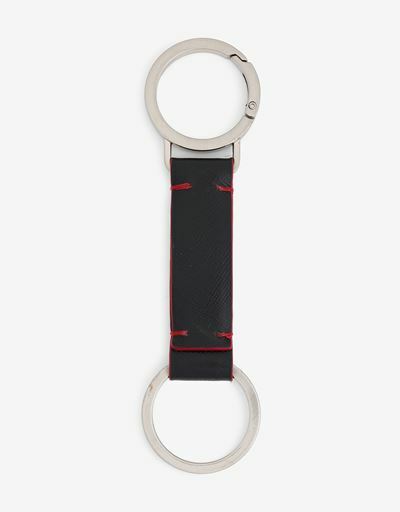 Made in Italy, this double ring keychain has a sleek design and intense racing personality. 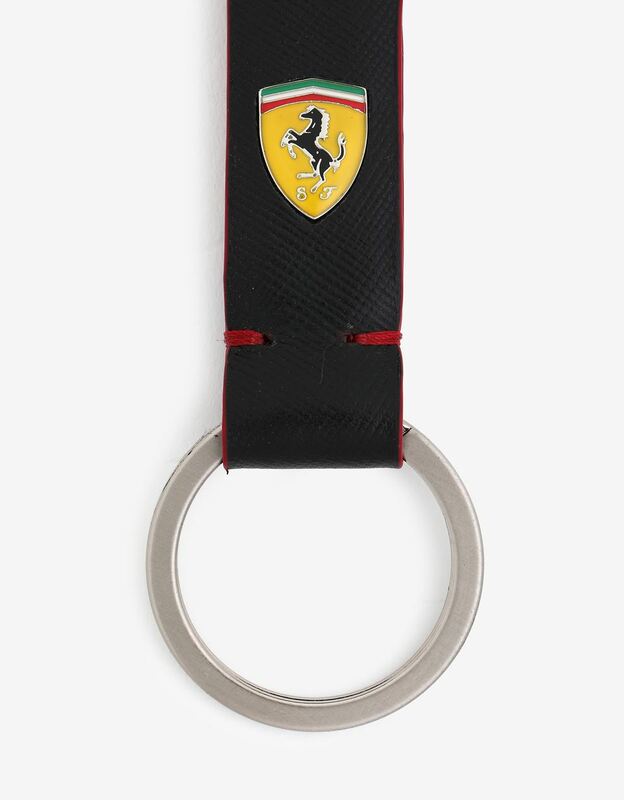 Its double metal ring construction, which allows it to be conveniently hooked to purses, backpacks or clothing, is the defining feature on the original Scuderia Ferrari keychain. SaffianoSaffiano is a type of leather with an iconic print that offers good resistance to abrasions, water, scratches and stains. Accessories made of Saffiano are therefore practical for use, while maintaining the typical elegance of leather. leather, which is highly resistant to abrasions scratches and stains, adds a practical touch without foregoing elegance. The red details, visible stitching and laced edges accentuate its athletic inspiration. 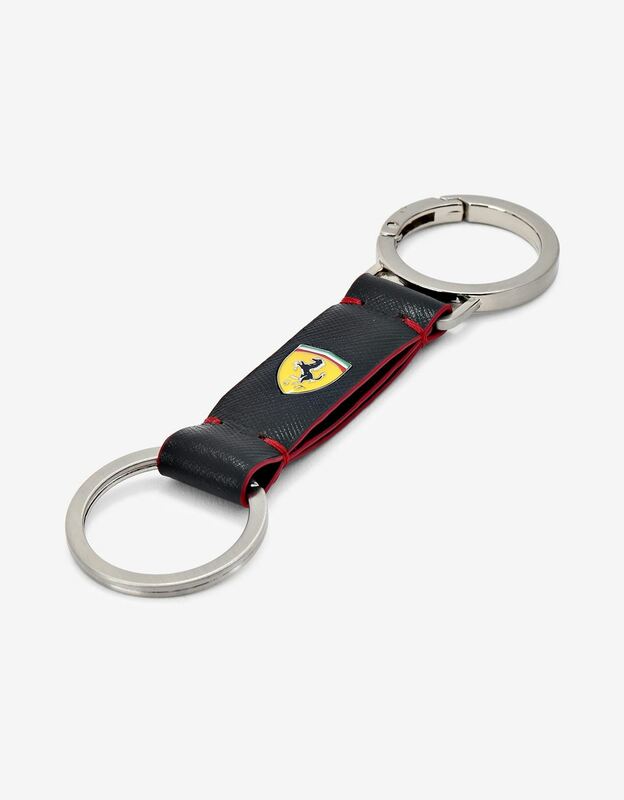 On the back are the iconic enameled Shield in five colors and “Scuderia Ferrari” wording.